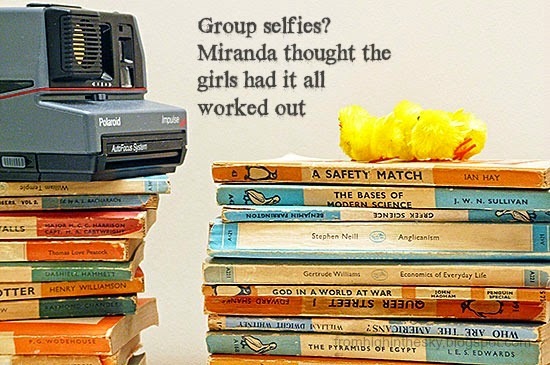 looks like the start of a fun week from some well read chicks if their roost is anything to go by! Interesting photo. I'm looking forward to seeing what's up with them tomorrow. I'm looking forward to seeing more of "the girls!" LOL! Can't wait to see what they're up to later. What in the world will they be up to if they ever get down from that stack?